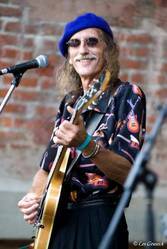 Upright Records recording artists Liz Pennock & Dr. Blues have been performing together since 1983. 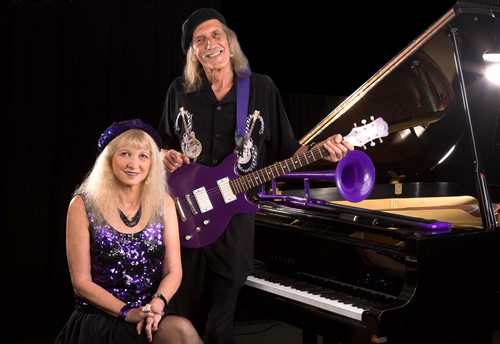 Ohio natives now based in St. Petersburg, Florida, this premier piano/guitar duo captivates audiences with their vast repertoire of classic, contemporary and original blues. 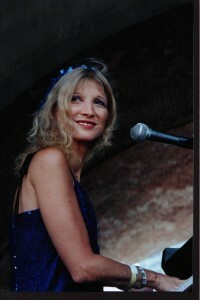 Piano player/singer Liz Pennock began performing professionally as a solo artist in 1975. Undaunted by what might seem a limitation, Pennock was born minus two fingers on each hand, a fact not evident from the other side of the piano. She has developed her own powerful ivory-tickling style, inspiring countless listeners. Pennock’s songwriting ranges from the romantic “My Best Fan” to the rollicking “He Plays the Boogie.” Liz also plays trombone and was an endorsee for Hohner harmonicas from 1998 thru 2011. Pennock & Shambarger met in 1981, married in 1983, and have been a nonstop creative team ever since. They co-produced Pennock’s debut album Bluesy Atmosphere in 1986, and released their second recording, Blue Illusion, in 1989. Each album features 10 of their original songs. Liz and Doc’s 1996 CD, Six Fingers Boogie, features 12 originals plus 2 blues classics, with guest appearances by singer Gaye Adegbalola and harmonica great Rock Bottom. Their album Live From St. Pete (2003) contains eighteen live cuts- four covers and fourteen originals recorded here for the first time. Liz & Doc’s CD Boogie Woogie Staircase, released in 2008, is a collection of 15 all new originals and features Mike Delaney playing sax on two songs. Their latest album Quirky Boogie debuted in 2016 on the 30th Anniversay of Upright Records. They have also appeared on other musicians’ recordings as well. In addition to their duo work, Liz Pennock & Dr. Blues performed with legendary blues shouter Diamond Teeth Mary McClain from 1988 until 2000 when Mary died at age 97. In 1993, Liz & Doc co-produced Mary’s critically-acclaimed debut CD, Walking Mary’s Blues, and accompanied her at the 1996 Chicago Blues Festival. In 2009, they founded the St. Pete Blues Allstars, a seven-piece jump blues band. Liz & Doc performed on a Blues Cruise to Mexico (2001), played in Germany (2003), in Belgium at the Brussels Boogie Woogie Piano Summit in 2004, and in Paris, France at the 15th Festival International de Blues et Boogie in 2013. Liz also performed with the “Queens of Boogie Woogie” in California in May, 2016. Since 2009, the duo has hosted and organized the annual Boogie Woogie/Blues Piano Stomp at the Palladium Theatre in St. Pete. Over the years, they have appeared with such artists as John Hammond, Savoy Brown, Saffire: The Uppity Blues Women, Roy Book Binder, Bob Margolin, Pinetop Perkins, Marcia Ball and Leon Russell. 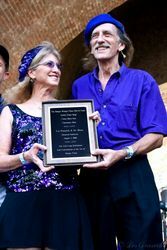 On August 2nd, 2008, Liz Pennock & Dr. Blues joined the likes of Johnnie Johnson (Chuck Berry’s piano player), Pinetop Perkins, Bob Seeley, and Albert Ammons when they were inducted into the Boogie Woogie Piano Hall Of Fame in Cincinnati, Ohio. With an impressive repertoire of over 250 songs, Liz Pennock & Dr. Blues never play the same show twice. Each performance features a large number of originals, most selected from their CD’s. Liz & Doc also draw from traditional acoustic Blues of the 1920’s and 1930’s, the folk and rock Blues of the 1960’s, through the contemporary electric Blues of today.